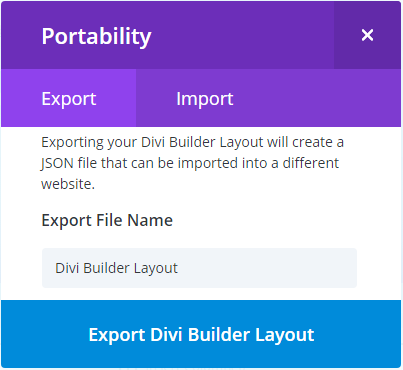 The first option is the “Export” which helps the Divi builder to export the whole layout in form of JSON file which can be used in any other different web pages. 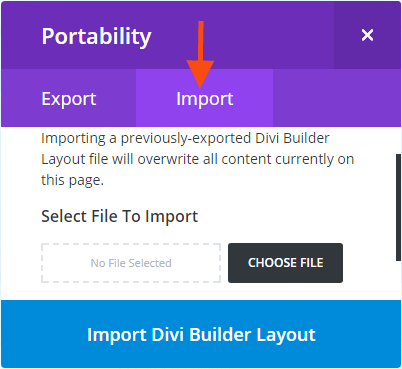 You can easily change the name of the export file or it makes the default name as “Divi Builder Layout”. Now the 2nd option is of the “Import” which helps to import any Divi builder layout file which was previously exported. It will overwrite all the current content which would be available on the site. Once it gets finished you will get the Divi library items to be added to your library and all the images too which will be updated in the media library. 2) Now moving to the second icon, In this icon, we can see all the page setting option related to a particular page. Enable Split Testing – It is the best way to test which variation of a particular module is more effective from visitors’ point of view. If we enable split testing then we are able to create the different variation of a particular module and when users visit our site they found different variation upon different visits so it provides the basic understanding about the choice of visitors. Firstly we need to click on the icon as we can see in a figure and when it opens then click on “Enable Split Testing” to make it enable. Custom CSS – Now in the second icon, the next option is of Custom CSS which helps in defining the Custom CSS for a particular page. 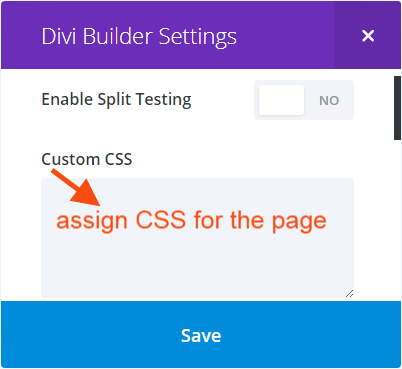 The same option you can also see in the Divi Theme Option but that is for defining the Custom CSS for the overall site. This option helps to maintain or to change the setting of the specific page which we want. 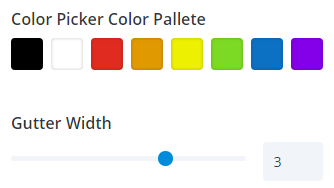 Color picker color palette – It helps to define the color for the content of the page. Gutter width – a gutter is the clear empty space between the element’s boundaries and the content. By this, we can increase or decrease the clear space. Dark text color – By this option, it will make the color dark. Section background color – This function helps to change the color of the background of the section of the page. I was actually wondering to set the colour palette on a global scope rather than a page. 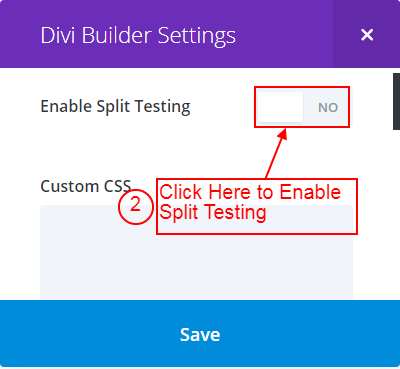 I know this can be done with Divi, but seems I can’t find this for Divi Builder itself. Do you have any clue how this can be achieved?